Jingle all the way 2018 | Mallusk Harriers | Right to the line…. We are delighted to be supporting our charity partner, the Northern Ireland Children’s Hospice, in organising Jingle all the Way for what promises to be a fun-filled event for all the family. Q Radio will be attending and broadcasting live from the event. 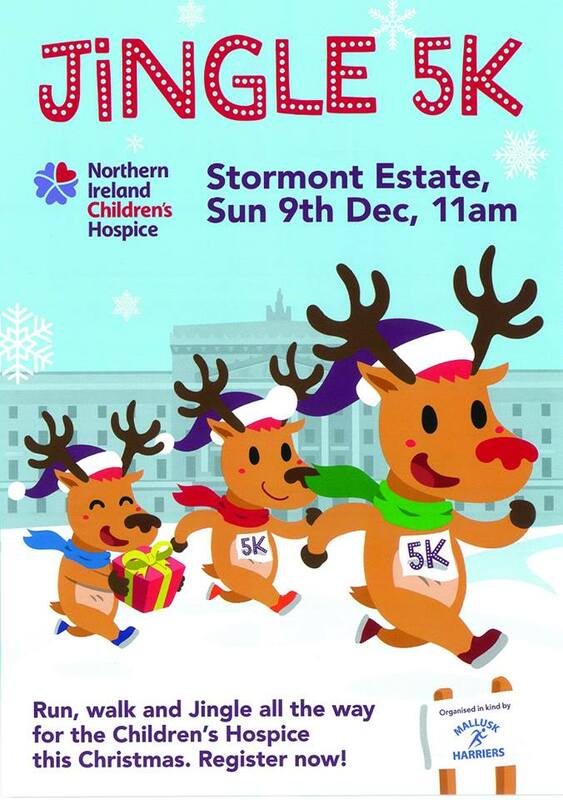 What better way to get ready for Christmas, while supporting the amazing work being done by the Northern Ireland Children’s Hospice. 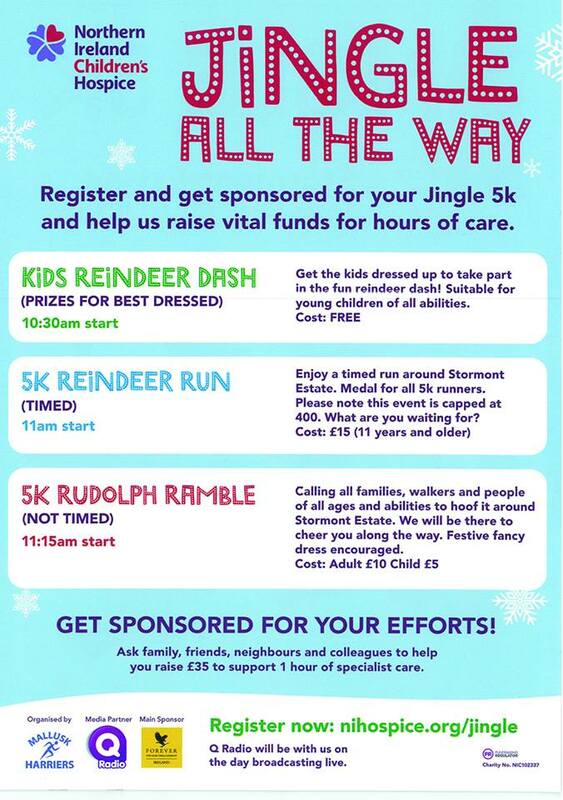 Sign up at https://athleticsni.org/Fixtures/Jingle-All-The-Way-5k before it’s too late. This event has limited numbers and is sure to sell out.